What is a Juried Event? FIRST TIME VENDORS..... you MUST be adjudicated for participation before completing booth space contract. ART/CRAFT dealers, please click HERE please note; we are no longer accepting further jewelry artisan applications; please mark your calendar for Feb 2020 and apply for next year - thank you! 2019 BOOTH SPACE FORM (for all except food vendors) is completed only if you have first been fully adjudicated to participate. The booth space form will provide you with the booth space rental fee, booth size options, etc. The appropriate booth space form must be sent with the signed Terms & Conditions form. As of April 4th, we do not have any more electric enabled spaces left available. When completing your booth space form, please do not request electric as it will not be honored. Electric spaces are rented on a first-come-first-serve basis. If you need electric to run phones or devices, we recommend you bring these items fully charged and pack a battery back-up as well. Thank you for your cooperation! As of 4/17/19 we are at 90% capacity; we will book art/craft/artisan dealers & business vendors until we are full or May 1st, whichever comes first. DO NOT DELAY IN APPLYING!! 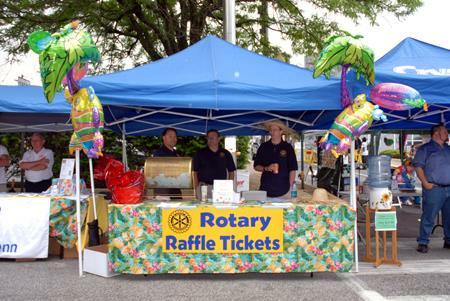 The Rotary Club of North Penn's 42nd Annual Lansdale Day Arts & Crafts Festival is Saturday, June 1, 2019 from 10:00am to 4:00 pm on Main Street downtown Lansdale, PA. This fun-filled family and community event is the club's major fundraiser for the year. The proceeds from this successful event are donated to local charitable and non-profit organizations in the North Penn community. Recipients from the past few years include: Manna On Main Street, Laurel House, North Penn Valley Boys and Girls Club, North Penn YMCA, Easter Seals, RSVP of Montgomery County, the Kelly Ann Dolan Foundation, The Peak Center, Trucks for Maddox and many more. The main attractions for this wonderful event include: Arts Festival with juried invitational showcase of fine arts, selected artisans and crafters; a Community Marketplace which is an ideal place to network with various sponsors, local businesses and civic organizations; and Pet Alley dedicated to pet-related items and organizations. In addition, there will be lots of delectable food, great music, many fun activities in several staging areas including the Rotary 50-50 Raffle drawing, food courts, & children's activities. The expected attendance for this event is typically 3000-5000 visitors. We are always striving for a quality event and we have as our show manager, Tammy Skiermont, Rotary Club of North penn past President, Club Secretary and Lansdale Day Event Manager for the past 4 years. Additionally, we have and rely on the Lansdale Day Committee members who are all Rotarians; as well as our experienced artistic consultant, Stephanie Seidner (who managed this event for over 35 years!) We invite all members of the community and all local businesses to become involved in this event. Opportunities range from renting a booth space to various levels of sponsorship. We need your help to make our event a success and are looking forward to your participation in this unique one-day celebration. Please refer to your contract application - forms are available for download from the Lansdale Day page of our website. Upon final adjudication and receipt of your contract with full payment means our committee has approved you as an exhibitor or participant. We will not accept any flea market or garage sale dealers. We reserve the right to reject any booth space, table appearance, product or service that is deemed unsuitable for a family atmosphere. All dealers/crafters/artists and participants must have a canopy covering their booth space; no exceptions! Those who do not comply will be rejected upon setting up on the day of the event. To minimize duplications, we will limit dealers in various categories and designate placement to minimize similar products being next to one another. Upon receipt of your full payment and signed contract, you be issued a Confirmation via email with further information including arrival instructions specific for all participants. Booth space assignments are given out the morning of the event at check-in and not before. If you have participated in the past, we welcome you to join us again. if you are new to the event, we invite you to join this wonderful day! 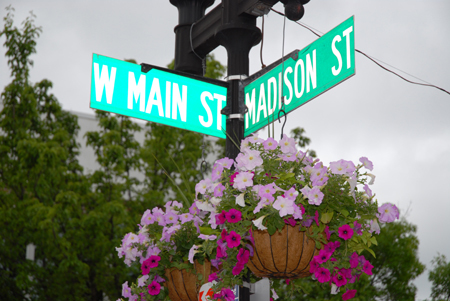 With respect to FOOD DEALERS only for Lansdale Day: All food businesses must provide a certificate of General Liability Insurance showing minimum of $1,000,000 coverage. The policy must include the Rotary Club of North Penn and Lansdale Borough as Additional Insured. This must be mailed (of faxed to 215-699-7476) by May 15th. NOTE: Montgomery County Health Department no longer requires an application for temporary food service license for one-day events; however all food dealers must provide covering of some kind to protect food. PLEASE NOTE: Driving directions are posted on our website and included with your confirmation email and MUST BE FOLLOWED in order to avoid street blockades and road closures the morning of the event. DO NOT USE YOUR GPS FOR LOCAL DRIVING DIRECTIONS as THEY WILL NOT GIVE YOU THE PROPER DRIVING DIRECTIONS NEEDED TO ARRIVE WITHOUT PROBLEMS!! 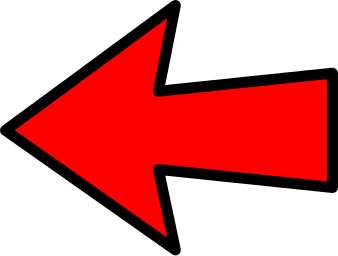 Use GPS only to locate Lansdale, PA, but please refer to our written directions for arrival to the Lansdale Day event. If you have any questions, please contact our show manager below. 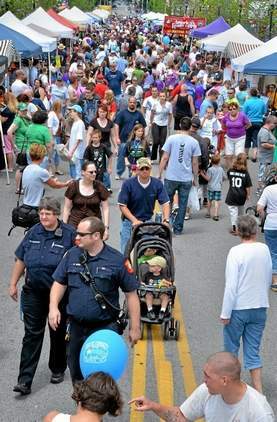 Thank you and we look forward to your response and participation at Lansdale Day! PHOTO ALBUM FROM 2018 - - FEEL FREE TO BROWSE!